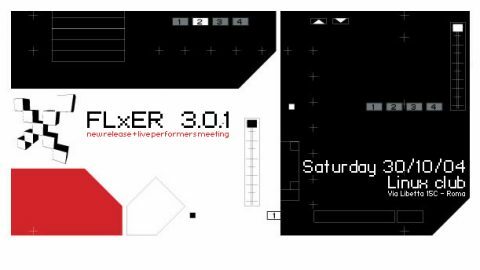 The idea comes from the usual event, organized to present the release of new version of FLxER, one of the software instruments used in the creation of live video performances. On this occasion, unlike the previous presentations, it was decided to invite the vjs and video artists who are part of the FLxER Abusers community. FLxER Abusers is a collective of vjs and video artists united by interest in research and activities within live video performance. Abusers FLxER is the name of the web-community created on the website of FLxER (flxer.net), free software used in the production of live video performance, which currently has 2.998 users around the world, which share 1.828 video files. The meeting between FLxER, born within Flyer Communication Lab, the research laboratory of Flyer Communication agency (flyer.it), and the interest that has developed around the theme of the video live performance, has resulted in the first LPM – LIVE PERFORMERS MEETING. The venue of the event is the Linux Club (www.linux-club.org) in Rome, ideal space for the available technologies and the philosophy of the Club, devoted to Penguin (FLxER is free, and of course, can be used with Linux, Mac and PC).